electric cars, EVs, will have as loads to absorb excess power when needed, and resources when the grid needs a boost. An article from AIChE, "Michael Liebreich Says Electric Vehicles Are a Global Revolution Sitting in Your Garage" see link has the story. 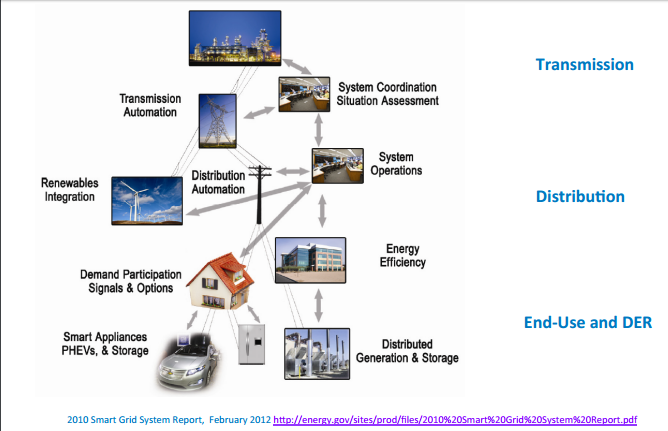 The graphic at right, from NREL, shows PHEVs (plug-in hybrid electric vehicles) being charged and discharged. EVs can and will also be charged and discharged as needed. Liebreich is correct that there will be many winners, and losers too in all this. Winners will be the battery companies and EV manufacturers. Losers will be conventional auto mechanics and mechanical garages. Solar panel producers and wind turbine-generator producers will have a brisk business. What Liebreich did not mention, though, is the booming business of the nuclear power plant decommissioning companies. There will likely be 50 or more nuclear plants shut down in the next 10 years, certainly more in 20 years. There are also major implications for railroads in the US, since moving coal is one of their primary business segments. Freight rates will likely decline, and other items will find rail transport more attractive. As written several times on SLB, and documented quite well at the EIA, coal consumption in the US is dying rapidly. Indeed, there are less than 20 years of coal remaining in the US, absent massive government subsidies to prop up the industry. Subsidies are not likely, though, with the government's fixation on reducing carbon dioxide emissions and penalizing those who produce CO2.